We’d love your help. 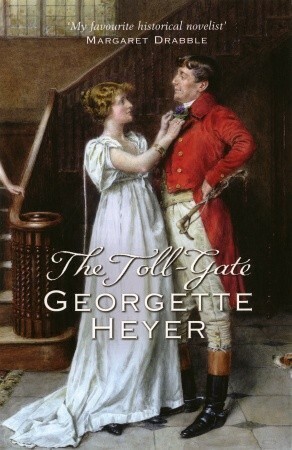 Let us know what’s wrong with this preview of The Toll-Gate by Georgette Heyer. His great adventures were legendary... Captain John Staple's exploits in the Peninsula and Waterloo had earned him the sobriquet Crazy Jack amongst his fellows in the Dragoon Guards. Back from the battlefront, he is planning to settle down after a brave military career, and searches for the ideal bride to complement his earldom. But life in peacetime is rather dull for the His great adventures were legendary... Captain John Staple's exploits in the Peninsula and Waterloo had earned him the sobriquet Crazy Jack amongst his fellows in the Dragoon Guards. Back from the battlefront, he is planning to settle down after a brave military career, and searches for the ideal bride to complement his earldom. But life in peacetime is rather dull for the adventure-loving Captain, who had enjoyed active service too much ever to settle for a life of humdrum respectability. When he finds himself mired on the moors--on a dark and stormy night, no less!--John hardly expects to find a young, frightened boy who's been left alone to tend a toll gatehouse. He has stumble upon a mystery involving the boy's disappearing father, the toll-gate keeper, nothing could keep he from investigating. To ask other readers questions about The Toll-Gate, please sign up. Georgette Heyer wrote several mysteries (both historical and contemporary) as well as her more widely known and beloved Georgian and Regency romances. I don't think I'll ever love any of her mysteries the way I do some of her romantic comedies, but this was still an enjoyable read. Captain John (Jack) Staples has returned from the Napoleonic Wars and is trying to readjust to civilian life, which is boring him to tears. He takes off on horseback to visit an old friend out in the country, but manag Georgette Heyer wrote several mysteries (both historical and contemporary) as well as her more widely known and beloved Georgian and Regency romances. I don't think I'll ever love any of her mysteries the way I do some of her romantic comedies, but this was still an enjoyable read. Captain John (Jack) Staples has returned from the Napoleonic Wars and is trying to readjust to civilian life, which is boring him to tears. He takes off on horseback to visit an old friend out in the country, but manages to get lost in the stormy night, and ends up at a toll-gate (I had no idea they had those back then!) manned by a frightened boy who's trying to cover for his missing father. Jack, lost and tired, convinces the boy to let him stay the night and promises to try to help him with his troubles in the morning. But morning brings more complications, including a tale of lost treasure as well as an attractive young woman, and Jack decides this is the adventure he's been waiting for. Besides, the boy's father is still missing, and someone has to man the toll-gate! For a more detailed plot summary, I'll refer you to Qnpoohbear's excellent review (https://www.goodreads.com/review/show...). "But the thing is I've got no fancy for one of these dashed suitable marriages where you don't really care a fig for the girl, or she for you. I don't mean to offer marriage to any girl who doesn't give me [a] leveller. So I daresay I shall remain a bachelor, for they don't--any of 'em! And if one did," he added thoughtfully, "it's Lombard Street to a China orange that you wouldn't take to her." So it's pretty amusing when, while he's temporarily replacing the keeper of the toll-gate, a tall, somewhat shabby but genteel girl with chestnut hair and humorous gray eyes rides up: "He stood as though stunned, for he had received his leveller at last." The romance has a lot less ups and downs and twists and turns than the usual Heyer romance. I think focusing on the mystery freed Georgette Heyer to give us a nice, sweet, straightforward romance. Jack and Nell kiss before the 50% mark! And they never have a misunderstanding or major fight! It was kind of refreshing, actually. But the mystery, rather than the romance, is the focus of our tale here, so don't go in expecting this to be like a typical GH romance. The romance is definitely a subplot. Between that and the fact that the entire story is told from Jack's point of view, you don't get to know the heroine as well as you typically would. Nell is intelligent, capable, and loyal to a fault, but she's much less of a personality than Jack and the colorful secondary characters who fill the pages of this book. For much of the story Jack is pretending to be a person from a much lower social class. Maybe as a result, this book is chock-full of dialect and Regency-era cant. I'm pretty familiar with the expressions used in Regency books, but this book left most others in the dust when it comes to odd expressions that are hard for modern readers to understand. "A couple of ding-boys, that's certain! I never got a chance to tout their muns." "Prigged his tattler, too, but I sold that. I'm a great one for a pinch o' merry-go-up . . . I daresay I'd get a double finnup for it, too . . . but when it comes to tipping over the dibs there ain't a lock as isn't a hog-grubber." Frankly, it got pretty irritating after a while. The mystery in this book reminds me a little of Treasure Island. It was kind of exciting as the book revealed the reason for all of the odd appearances and disappearances in this part of the country, and you had to cheer for Jack's determination to solve the mystery without hurting the people he cares about. What a coincidence! This book was my first read of 2016 & is now my first read of 2019. I don't think I have much to add to add to my first review other than to add more praise to GH's portrayal of Ben - one of my favourite Heyer boys. But the whole read is very entertaining. not much I can say about this ripping yarn. how does one go about explaining "practically perfect in every way"? oh Mary if you won't I can't. What a way to start the year! A five * reread from my favourite author! This is one of GH's books that I like more as an older reader. "Crazy Jack " Staple is bored with civilian life - and even more bored with the deadly dull family party he has been invited to! Making the flimsiest of excuses, he leaves the party days early - and becomes hopelessly lost. Happening on a toll-gate in a lonely part of Derbyshire, he finds it "manned" only by a scared 11 year old. This is enough for Jack,who is alwa What a way to start the year! A five * reread from my favourite author! "Crazy Jack " Staple is bored with civilian life - and even more bored with the deadly dull family party he has been invited to! Making the flimsiest of excuses, he leaves the party days early - and becomes hopelessly lost. Happening on a toll-gate in a lonely part of Derbyshire, he finds it "manned" only by a scared 11 year old. This is enough for Jack,who is always on the lookout for another adventure. to the chagrin of some of the colourful locals in this richly cast book & falls in love. My only criticism is that some of the thieves' cant used is a bit hard to figure out - even for a GH devotee like myself! Loved it plain and simple! Captain John (Jack) Staple has had enough of his dull cousin and insipid fiancée, so he skips out of the engagement party and trots off to his friend Mr. Babblecombe's hunt. Only, he doesn't quite make it that far. In the pouring rain and crackling thunder he comes upon a Toll-Gate, an unattained Toll-Gate. That is, it's attended, but by a little urchin named Ben, whose father is missing and who is deathly afraid of someone. Ever the adventurer, Captain Staple rises to t Loved it plain and simple! Ever the adventurer, Captain Staple rises to the occasion and becomes the temporary gatekeeper, and falls smack, dab in love, with Miss Nell Stornaway, called by her grandfather's tenants "The Squire". Now he stays on to win her hand, only to become deeply embroiled in a sticky scheme full of murders, thievery, a highwayman whose heart isn't in his trade and shocking discoveries that take him into the heart of the hills… and into disaster. But that isn't the end, it's the beginning. 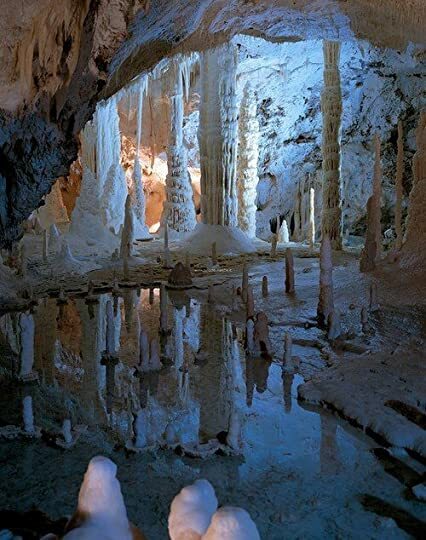 Those wet, chilly caves have been holding a secret, and they won't let it go without a fight. Neither will the men who put it there. And perhaps the highwayman Jerry Chirk isn't all he seems, maybe, just maybe he will be the one to unlock the secret of the caves, and avert disaster. Or, could it be Miss Stornaway's truant of a grandfather will be the one who twists everyone around his little finger, making sure that Captain Staple does as he promises and that Nell does what's best for her? Who can be trusted, and who will turn informer? 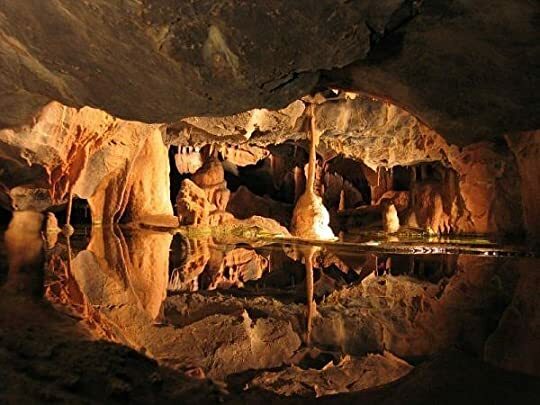 It's in the caves where Jack finds out, and it's in the caves where he finds the most stunning find… a most hideous crime. Jerry Chirk just wants to get out of this damp nightmare, and if it weren't for one certain person on earth he would run for his life and continue stealing, but he can't let that someone down. So he stays just long enough to yank Captain Staple out of the quagmire and deeper into the caves. 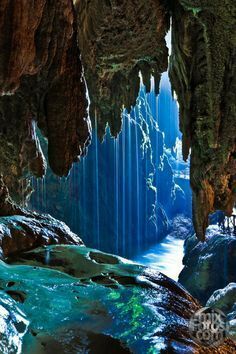 Everything comes down to those caves, they either break a man, or make a man, there is no in between. And Captain Staple is about to find out just how cold an underground river can get. The entire time I was reading this I gripped the pages till they nearly tore, eagerly scanning each page, speed reading to find out what would happen next. I love how Heyer did this book, it's one of my favorites of her Regencies. There's no balls, not dancing none of the usual Regency plot at all in fact! But there is suspense, and a surprising ending. I truly didn't think it would end how it did. (I'm glad it ended the way it did though) What made this five stars was that I liked every character. No, they weren't all likable, but they were all interesting; none of them irritated me. Miss Nell Stornaway is independent, headstrong and completely likable. She and Jack are unusual, they are both horribly tall for other people's tastes, but perfect for each other. She was a bit like the heroine from Eye of the Wind, they are both tall, capable ladies who have their own ideas on how young ladies should behave. And both fall for men seemingly far below themselves. Unable to endure his stuffy cousin's engagement party more than one night and tired of his mother and sister's matchmaking schemes, Captain John Staple sets out for his friend's hunting box. Much to his dismay, he gets a late start, his horse loses a shoe on the moors and he takes a wrong turn and ends up in the middle of nowhere, Derbyshire in a rain storm. Finding a toll-gate, John demands entry to the pike, hoping to spend the night in the nearest town. The gate is opened by a ten-year-old bo Unable to endure his stuffy cousin's engagement party more than one night and tired of his mother and sister's matchmaking schemes, Captain John Staple sets out for his friend's hunting box. Much to his dismay, he gets a late start, his horse loses a shoe on the moors and he takes a wrong turn and ends up in the middle of nowhere, Derbyshire in a rain storm. Finding a toll-gate, John demands entry to the pike, hoping to spend the night in the nearest town. The gate is opened by a ten-year-old boy, wet, cold and afraid. Ben's father, the toll keeper, has disappeared and Ben doesn't know where he is or when he will return. John, wet and tired and also intensely curious, decides to spend the night until Mr. Brean returns. Mr. Brean has not returned by morning and John, always up for an adventure, takes on the role of toll-keeper. One of his first customers is Miss Nell Stornaway, the Squire's granddaughter. Suddenly, John's reasons for staying increase. Miss Nell is not a young miss nor is she missish. She's taken over the management of the estate from her ill grandfather and cares for the old man as he lays dying. Now her cousin and grandfather's heir, Henry and his sleazy friend Nat Coate are staying at the Manor and Nell is sure they're up to no good. John wonders if Henry Stornaway's arrival has anything to do with the mysterious disappearance of the toll-keeper and if so, what is the connection. With the help of a highwayman with a heart of gold, John sets out to solve the mystery and protect Miss Nell with all his heart and body. This is an unconventional novel for Heyer. The hero doesn't even appear until the second page and he doesn't speak until page 6. There are kisses in the middle of the book and more romance than most of her other novels. (I'm not complaining though, I enjoy a good, sweet romance). The plot reads like a copycat for the first half but the last half sparkles with her usual wit and intelligence. Only Heyer could create such quirky characters and infuse humor into a mystery plot. John is a great hero, he's an alpha hero but he's not arrogant or angry and never loses his temper. Nell is one of my favorite heroines. She's strong, intelligent and capable of taking care of herself. The romance is a bit unbelievable given the time frame it happens in but I like the couple together and think they'll suit very well. Nell has just the right temperament to deal with John. I adored the secondary romance which made me giggle a lot. The mystery is impossible to solve and kept me turning the page far too late into the night. I can't believe I hadn't read this one before because now it's one of my favorites! The romance was established very early in the story and then the mystery took over. Also, the audio wasn’t great on this one! Georgette Heyer departs from what romance readers can expect by crafting a HR where the story told is completely from the hero's POV rather than that of the heroine for a refreshing change. A very thrilling and interesting mystery takes up the better part of the story and here also, GH includes a wide array of colorful supporting characters from the "lower orders" that I quite enjoyed and are interesting and carefully drawn in their own right with their own lives and concerns. I don't usually enjoy child characters and their "doings" all that much. At best they are tolerated, but I just love 11 year old Ben, the gatekeeper's son--such a good sort of boy and easy to like--not at all a nuisance to anyone or to me, the reader. Georgette Heyer's secondary characters are better written than most people's primary characters. I think that is what makes her such an amazing author. She is able to make even a character with only a little bit of time on the page seem like a real person. Even though the story was about Nell and Jack I was just interested in what happened to everyone else at the end also. A wonderful mystery with just the right amount of romance thrown in. I think I've just found another Heyer favourite. There is absolutely nothing to dislike here. I really liked it. I mean, there are villains you are supposed to dislike and want them dead and stuff, but that's part of the story. I can't possibly do it and its character justice, but the main reason I loved it this much is Captain John Staple. This is one of those stories where Heyer didn't take her sweet time to introduce everyone. There is something for everyone. There's a protagonist who seems to be a trouble magnet, there's a young woman who takes care of an ill grandfather, there are real villains (not the redeeming kind), there's an eleven year old boy who really wants the captain to stay and protect him, there are great people working for the girl's family and so much more. 6 Days later ... and after reading 'Bath Tangle' ... I still love this book soooo much! I am thinking of reading it again, right now! I believe that Jack's character is reminiscent of Captain Charles Audley from 'An Infamous Army'. Not just in the military sense, but as a well rounded and mature hero who knows what he wants and goes after it. I have never been one for the insta-love trope, but it really works in both books and Heyer is masterful in how she carries it off and makes it realistic and believable. The mystery element was splendidly woven into the story, while several plot points were playing out around the main story ala mise en abyme. The dialogue was fun and challenging with the Thieves' cant being brilliantly deployed. There are so many laugh out loud moments. I highly recommend the Audible listen along with your read of the physical book, Daniel Hill's narration is excellent. The characters are well crafted - Ben is adorable as well as all the secondary characters - it feels like so much effort was made to really define them. Nell goes down as being a favorite heroine for me. She is unconventional in looks and size, independent in spirit without being ridiculously stubborn or spoiled and she is fiercely loyal, it felt like shades of 'The Grand Sophy'. This story flows brilliantly. The only thing I can say detracted from the story were the constant reminders of how "big" Jack and Nell were. The Toll Gate was an interesting read and my rating is hovering somewhere between 3.75* to 4* for this Georgette Heyer work, the reasons for which I shall elaborate further in my review below. The best feature of this book for me is it's outstanding characterisation, which is typical Heyer, with an incredulous hero, equally matched heroine, a strong and inexorable grandfather, an amazingly natural urchin and a good natured highwayman ever ready to take offense. And that is what pushed my rating f The Toll Gate was an interesting read and my rating is hovering somewhere between 3.75* to 4* for this Georgette Heyer work, the reasons for which I shall elaborate further in my review below. The best feature of this book for me is it's outstanding characterisation, which is typical Heyer, with an incredulous hero, equally matched heroine, a strong and inexorable grandfather, an amazingly natural urchin and a good natured highwayman ever ready to take offense. And that is what pushed my rating from 3.75* to 4*. The story is about the adventurous Captain John Staple or Crazy Jack, and as the name suggests, he is obstinately crazy and is most unsurprisingly found in scrapes no one would ever think of! So, suitably matching his habit of getting into unprecedented tangles, he finds himself minding an unmanned toll gate with a mystery hanging about the disappearance of the gatekeeper and an urchin at his disposal to be taken care of. The details of the story and the plot may be gathered from several earlier posts and the book summary at GR, so I will concentrate on my perceptions of the book. Mind you, this ain't a regular romance, hardly much of it to be seen in here, but it is more of a mystery and a good and exciting one at that! The character of Captain John Staple is dynamic to say the least. He has an incredible presence to his credit and is very kind, intelligent and ingenious at the same time. The most striking feature of his character is his ability to switch from one phase to another without much trouble. He can be the vulgar cant bantering gatekeeper without an ounce of sophistication in him at one time and a very kind and empathetic listener and comforter with very agreeable manners endowed within him at the next. He is handsome to behold and of a mountainous size towering well over everyone around him. He is also tolerably good at handling a kitchen and manages to keep his wardrobe and dress himself without his man at his disposal. So when the hero is so incredible, shouldn't he have a suitable heroine to match him? Here enters Miss Nell Stornaway in her overgrown size closer to 6 feet, (for John does say she is taller than his sister, who herself stands at five feet and nine inches) to give him a leveller at first glance and has him loose his balance. Nell Stornaway is very much my kind of heroine, not a diamond if the first water but kind, compassionate, understanding and a fighter, but sadly she has not a very big part to play throughout the book. And she is definitely a change from the regular misses and a complete match to the Captain for her notions of propriety do not very much match with those of Society. Sir Peter Stornaway is one emphatically strong character of astounding mettle. Even in the obvious face of death he is anxious to do right by his granddaughter and pulls and holds on till he has not settled everything to the rights and to his satisfaction. He is a very perceptive and discerning man with a glorious past and keen determination to keep his family name unsullied. His was the most impressive character of the book for me and I could not help but like him immensely and feel his death harshly through the pages. The next character I liked best, rather I loved, was that of Ben. The way he shrieks from being cleansed and his innocent, childish ways of groping for security and loving to live in unadulterated childhood playfulness is what catches the attention. Also, his perceptions of the adult nature and ever readiness not to disoblige any of the elders for fear of some scary (though unreal) punishments is very heart wrenching. Rose Durward is also one likeable character and tends to be very endearing in her loving scoldings, like one of those good natured matrons putting up a tough exterior. Bred to high propriety she astonishingly falls for a highwayman and cherishes unshared dreams of having a happy married life with him, though not sure of its fulfilment. Jerry Chirk, a highwayman and Rose's love interest is not bad either. Though his cant was the most difficult to comprehend, his character was nevertheless interesting. Henry Stornaway is a person with a long tongue and no discipline and faithfulness in him. While Nathaniel Coate is one really cold blooded and black villain. Secondary characters of Lydd and Stogumber were also very realistically designed and executed. Overall, the story is intriguing and very different with new twists and has an ability to keep the reader wanting to know the next turn of events, which is absolutely a sign that the author has been successful in achieving the expected intrigue. Why not 5*? Too much thieves cant in it for my taste! There were lines together where I could not make a word of what was happening and that was a damper! Also, I would have liked a more elaborate ending, with some note on what happens to the manor, how Ben takes to being taken up with Jerry and also a glimpse at Nell and John's eccentric and adventurous life and his family's surprise at having to directly welcome a daughter in law! But then some thoughts are better left on the reader's imagination and to be supposed to be the obvious. This is one of the few Heyers I didn't actually read back during my Heyer phase in 09-11. I think I wasn't as interested because it sported a mature pair - Captain John Staple (29) and Miss Helen (Nell) Stornaway (26). Still picking it up now when I just felt like reading more Heyer, it's actually just as good as the others! Of course it is, it's Georgette Heyer! John is a champ, he's an oddball and can always be found doing random things, such as becoming the gatekeeper of a toll gate when he ar This is one of the few Heyers I didn't actually read back during my Heyer phase in 09-11. I think I wasn't as interested because it sported a mature pair - Captain John Staple (29) and Miss Helen (Nell) Stornaway (26). Still picking it up now when I just felt like reading more Heyer, it's actually just as good as the others! Of course it is, it's Georgette Heyer! John is a champ, he's an oddball and can always be found doing random things, such as becoming the gatekeeper of a toll gate when he arrives at it by accident only to find it looked after by young Ben. So he becomes the gate keeper temporarily, taking on a new identity until he becomes embroiled in a mystery. Nell, is the granddaughter of Sir Peter Stornaway, the squire of the locality. And she frequently passes through the toll gate, which is how she meets and falls in love with John. ‘Do you mean to tell me you’ve been fighting everyone who wanted to pass through the gate?’ demanded John. 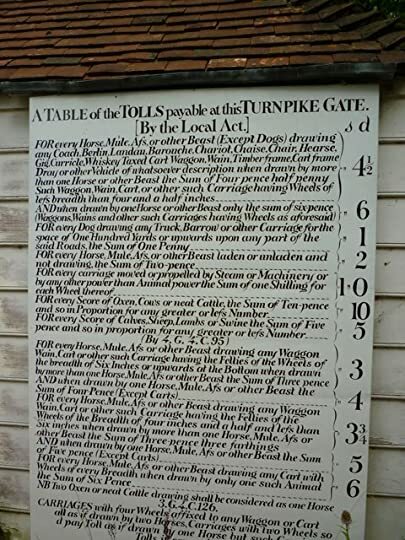 About The Toll-Gate, it's similar to Heyer's other Regency Mysteries: The Talisman Ring, The Reluctant Widow, These Old Shades (but this one is Georgian and not Regency), and maybe a couple more which I can't remember right now off the top of my head! But again, unlike some of these aforementioned titles, the Toll Gate is mystery first and romance second. Umpteenth re-read. I love this book. Nell is one of Heyers older, sensible heroines, and John is steady as a rock but very nosy and delighted to stumble across mysterious and sinister goings on. Heyer is in top-form here, there are a host of memorable secondary characters, and the language is simply wonderful. "I don't mean to offer marriage to any girl who don't give me a leveller. So I daresay I shall remain a bachelor, for they don't--any of 'em! And if one did," he added t Umpteenth re-read. I love this book. Nell is one of Heyers older, sensible heroines, and John is steady as a rock but very nosy and delighted to stumble across mysterious and sinister goings on. Heyer is in top-form here, there are a host of memorable secondary characters, and the language is simply wonderful. "I don't mean to offer marriage to any girl who don't give me a leveller. So I daresay I shall remain a bachelor, for they don't--any of 'em! And if one did," he added thoughtfully, "It's Lombard Street to a China orange you wouldn't take to her!" He stood as though stunned, for he had received his leveller at last. "What kind of knock-in-the-cradle do you take me for, dry-boots? You hand over the half of a fiddle!" "How was I to know you was a downy one? I thought you was a cawker." "You go and milk a pigeon!" "I should say as there's three of 'em as needs watching. Holt--he's Mr. Henry's man--ain't no better than a clunch--and oyster-faced at that!--but Roger Gunn, which calls himself Coate's groom, is a regular ding-boy, or I never seen one! Whatever it is them pair o' shog-bags is up to, he's in it, up to the chin!" His fancy had prompted him to sport a striped toillinette waistcoat under a coat of corbeau-cloth, and this combination, worn, as it was, with breeches of Angola cloth and hunting-boots with white tops, so powerfully affected the Captain that for a full minute he sat with his tankard halfway to his mouth, and his gaze riveted upon the astonishing vision. "Lord! he looks like a strained hair in a can!" January 2019 – This is my fourth re-read of this book. It’s been at least 6-10 years since the last time I read it and I must say that I think I enjoyed it even more than before. This one is more adventure and mystery than romance, but it’s just enough of each to keep your interest. The common dialect, or thieves cant, is thick in this book but it’s always written in context so you can figure out meanings for words which you otherwise wouldn’t have a clue; and, for me, the cant is part of what makes this book so much fun, along with the humor and wit of Georgette Heyer’s writing style. Absolutely LOVED it!!!! If the Captain was a tallow-faced twiddle-poop, mounted on a pair o' cat-sticks, I dare say he'd need a snirp like you to pad his calves out, and finify him. < - - Priceless!!! Said by our Hero’s batman/valet to the persnickety valet of one of the Hero’s foppish relatives. I don’t normally get along with cases of instantaneous love, but some authors can make me go along with it. Heyer is one of them, and this mystery/romance works well. Both the male and female lead are capable and likeable, and they treat each other with respect (unlike in, say, Faro’s Daughter). All in all, it’s an appealing combination, and Heyer shows off her research in her use of thieves’ cant and dialect. If your favourite Heyer novels tend to be the ones with mysterious highwaymen, caprici I don’t normally get along with cases of instantaneous love, but some authors can make me go along with it. Heyer is one of them, and this mystery/romance works well. Both the male and female lead are capable and likeable, and they treat each other with respect (unlike in, say, Faro’s Daughter). All in all, it’s an appealing combination, and Heyer shows off her research in her use of thieves’ cant and dialect. If your favourite Heyer novels tend to be the ones with mysterious highwaymen, capricious noblemen who don’t mind pretending to be commoners, etc, then it’s definitely one for you — more like The Talisman Ring than The Grand Sophy. The only problem for me was that I’m not very knowledgeable about period-appropriate dialects and thieves’ cant. Some of it I didn’t follow very well, and at times it does hinder you in understanding exactly how a certain character gave themselves away, etc. But for the most part, it becomes obvious if you keep reading. Heyer writes with humour and flair, as ever, and the afternoon I spent devouring this was well worth it. I liked John and Nell, also Ben, Rose, Chirk. I felt cozy and amused during reading. I loved the idea of toll-gates at the beginning of XIX century. It was very interesting how it worked. The adventure/mystery was nicely invented too. It was rather fast reading. But... I can't tell it was one of my favorite Heyer's novels. I am not sure why. Perhaps, because the romance was just ok. Perhaps, because I wasn't much gripped by the mystery (although I could see its value). Perhaps, I wasn't in a mood for I liked John and Nell, also Ben, Rose, Chirk. But... I can't tell it was one of my favorite Heyer's novels. I am not sure why. Perhaps, because the romance was just ok. Perhaps, because I wasn't much gripped by the mystery (although I could see its value). Perhaps, I wasn't in a mood for such kind of story. I don't know. One of the best parts were the first scenes, about the family meeting. There was a big potential for another kind of Heyer's stories. But then it became something different. Questo è l'undicesimo libro di questa prolifica autrice che leggo: vi torno regolarmente perché, nonostante le occasionali cadute, in genere non manca mai di fornire intrattenimento garbato e leggero. Heyer si specializzò in due filoni: i gialli (alla Agatha Christie) e i romanzi rosa storici (ambientati soprattutto in epoca Regency). Dei gialli non mi interessa nulla, mentre le sue "commedie romantiche" sono caratterizzate da trame vivaci, divertenti, prive di eccessi drammatici e passionali, pe Questo è l'undicesimo libro di questa prolifica autrice che leggo: vi torno regolarmente perché, nonostante le occasionali cadute, in genere non manca mai di fornire intrattenimento garbato e leggero. Heyer si specializzò in due filoni: i gialli (alla Agatha Christie) e i romanzi rosa storici (ambientati soprattutto in epoca Regency). Dei gialli non mi interessa nulla, mentre le sue "commedie romantiche" sono caratterizzate da trame vivaci, divertenti, prive di eccessi drammatici e passionali, personaggi buffi ed eccentrici e grandissime attenzione e accuratezza nella ricostruzione storica. Spesso non è neppure la storia d'amore fra i protagonisti ad occupare il maggior numero di pagine, ma il gioco degli equivoci e di complicazioni imprevedibili, in pieno stile screwball comedy. Leggendoli uno di seguito all'altro, probabilmente questi libri finirebbero per assomigliarsi tutti, ma io cerco di diradarli nel tempo e per me sono un perfetto "comfort read": affidabili, poche sorprese, pochi drammi, buona qualità. L'autrice ha un vasto seguito di ammiratori e qui su Goodreads c'è un gruppo a lei dedicato che ogni mese accompagna alla lettura di un titolo discussioni ricche di commenti interessanti. The Toll-Gate, del 1954, è stato il libro del mese di gennaio 2019. John Staple è un omone grande e grosso, proviene da una famiglia nobile ma non è l'erede al titolo, ha combattuto a lungo in Europa nelle guerre contro Napoleone in veste di ufficiale dei Dragoni. La vita militare era perfetta per il suo temperamento avventuroso, vagabondo e "guascone", tanto è vero che, ora che è tornata la pace, a casa tra i suoi parenti, tra gli immancabili ricevimenti e i maneggi della sorella ansiosa di vederlo accasato e sistemato con una brava mogliettina, si annoia terribilmente. In viaggio a cavallo diretto alla residenza di un amico, giunge di notte a un "toll-gate" (cioè a un casello per il pedaggio della strada) in aperta campagna, custodito da un bambino solo e spaventato. Perplesso, questo gigante buono non se la sente di proseguire per la sua strada lasciando il piccolo, Ben, da solo: nella speranza che il padre del bambino, sparito non si sa dove, faccia presto ritorno, John, con una delle sue tipiche decisioni d'impulso che lo hanno portato in passato a mille pazze avventure, si stabilisce nella casetta del casellante, si prende cura di Ben e... gestisce il viavai di carri, carrette e carrozze al casello. Ma il padre del bambino continua a non tornare, e John comincia a convincersi che la sua sparizione sia collegata a qualcosa di losco: quel che era iniziata come una semplice "mattana" diventa un mistero da risolvere, tanto più che la nipote del nobile locale, Nell, di cui John si innamora a prima vista, potrebbe essere nei guai. Non vale la pena proseguire col riassunto della trama: il punto di forza del romanzo non è tanto il mistero (pressappoco chiarito già a metà libro), quanto il fascino del protagonista e della sua controparte femminile. La Heyer si è divertita nei suoi innumerevoli romance a esplorare tante varianti del classico tema "lui e lei si innamorano", dai due che prima si odiano poi si amano al matrimonio di convenienza che diventa pian piano d'amore: qui invece abbiamo un'altra sfaccettatura, l'attrazione immediata e la simpatia reciproca istantanea. In un genere che, per rendere la storia più intricata e intrigante, si basa spesso sugli equivoci e i non detti (espedienti che la Heyer sa usare benissimo, e comunque gustosi in altri suoi libri), è un'inaspettata boccata di aria fresca vedere i due protagonisti flirtare così scopertamente e allegramente. Rispetto ad altri libri dell'autrice (tutti castissimi), anzi, The Toll-Gate sorprende anche per la (relativa) audacia. Il protagonista maschile è connotato, oltre che per l'animo aperto, generoso e intraprendente, soprattutto per l'aspetto fisico imponente e mascolino: molta attenzione è dedicata alla descrizione di parti del suo corpo o azioni; insomma, l'attrazione fra lui e Nell è chiaramente fisica, anche se, la Heyer essendo la Heyer, inutile dire che dopo pochi giorni i due sono già pronti a sposarsi. Nel contesto della storia ha comunque senso che il matrimonio fra i due avvenga in fretta e furia, ma stavolta non mi sarebbe dispiaciuto uno sviluppo più "spinto" (chiaramente, doveva essere un'autrice diversa e un libro diverso). Insomma, una Heyer un po' inusuale, da questo punto di vista. Per altri versi, The Toll-Gate è senza infamia e senza lode: il mistero, come dicevo, non è particolarmente intrigante, il cast di personaggi secondari è meno colorato e memorabile di altre volte. È apprezzabile il tentativo dell'autrice di cimentarsi in qualcosa di diverso (gran parte dei personaggi qui non fa parte dei circoli della nobiltà più elegante ma viene da strati sociali medio-bassi, è assente lo scenario familiare di Londra con i riti della Season, non mancano passaggi e motivi decisamente più dark e meno spensierati rispetto al solito, come la figura del nonno della protagonista gravemente malato), ma io, forse pigramente, mi aspetto alcune cose da questi libri che qui ho trovato solo in parte. L'autrice dimostra il solito, mostruoso lavoro di ricerca facendo parlare i personaggi popolari in un gergo molto particolare, apprezzo l'intenzione ma per me leggere in lingua originale è stato faticosissimo. Within the seemingly narrow category of Regency romances written by Georgette Heyer there is a surprising amount of variety. It’s not just the unique characters of the hero and heroine, and the ways different courtships play out; in some cases, the “romance” per se is a relatively minor part of the plot and the novel might almost be in another genre altogether. The Toll-Gate is in the latter group, being more of an adventure novel with a romantic side-plot. This isn’t a criticism in my book; I l Within the seemingly narrow category of Regency romances written by Georgette Heyer there is a surprising amount of variety. It’s not just the unique characters of the hero and heroine, and the ways different courtships play out; in some cases, the “romance” per se is a relatively minor part of the plot and the novel might almost be in another genre altogether. The Toll-Gate is in the latter group, being more of an adventure novel with a romantic side-plot. This isn’t a criticism in my book; I like historical fiction that is well rooted in the history of the times and doesn’t just put fancy-dress on a love story that could take place in any era. (view spoiler)[I’m not really spoiling anything by saying that she feels the same way; they are engaged by chapter 9. (hide spoiler)] After that we get a certain number of scenes developing their relationship, which is all quite enjoyable to read about, but the focus turns to the mystery—which I won’t spoil. It is based in historical fact and allows for a certain amount of suspense and skullduggery. I’m one who likes Heyer’s lower-class secondary characters, with their very specific slang vocabularies and their vividly drawn personalities, and this book provides such pleasures in spades. The climax includes some events that may be distasteful to certain readers, and I could wish that Heyer’s ingenuity had come up with a way around them. At first I felt triumphant because I was able to piece my way through the confusion but then I just felt exasperated. It is enough to make your head spin! Another lovely Georgette Heyer novel...with a bit of a twist! A male main character! A mystery combined with likable characters and that twist of romance, this book brimmed with everything that makes Heyer so delightful. My main complaints are that every other word is slightly unreadable due to "cant phrases" and that all the characters introduced at the beginning play no role at the end. What happened to mother, uncle, and cousin? That would have been good to know. Fun, light mystery featuring a restless former soldier who stumbles while lost onto an odd situation concerning a missing toll-taker. If you don't read this looking for a romance, but for derring-do and adventure and loads of Napoleonic era thieves cant, you'll be quite happy with your purchase ^^. Not to say that what there is of the romance isn't as lovely as Heyer's best, but it is cut much shorter and deeply subsumed under the main plot (as a matter of fact I think the nearest relative of this book may be The Reluctant Widow, with its focus on the spy plot). Because you have a deep dark crime story being uncovered by an ext If you don't read this looking for a romance, but for derring-do and adventure and loads of Napoleonic era thieves cant, you'll be quite happy with your purchase ^^. Because you have a deep dark crime story being uncovered by an extremely daring former army captain (if you've read The Spanish Bride: This is what I imagine Heyer's version of Harry Smith would be like if he had not married Juana, but sold out after the war and gone back to England at loose ends) called John Staple. He's another of Heyer's Big Men but while The Unknown Ajax is also a former army officer, he's a much calmer and deliberate person. Both men share a very irreverent sense of humour. The interactions with Ben, Chirk or the bow street runner are grin-worthy. When talking to Rose or Joseph or the butler and valet at Kellands you can see the care he takes to address their worries about their lady without becoming chummy. The scene where he lays Nell's grandfather's worries to rest is truly moving; not to mention that Heyer is able to make this formerly active man felled by a stroke really come alive in the two or three scenes where he is actually shown. (view spoiler)[And while it is true that from the day they meet to the day they marry only five days pass, I can believe that with the tension due to the Kellands heir and the looming death of Nell's grandfather and her unsure future both Nell and John are willing to bet their all on their love. I don't usually believe in amour fou, but the description here worked for me. I think it’s 20 years since I last read this one and I had forgotten what a rattling good yarn it was. I loved everything about it except the cant, (more of which later). I love the intimacy of the location and the characters. A small number of key people who are much more representative than her usual cast of aristocrats. The working class figures from Peter’s valet to Chirk and Rose are well drawn and as important to the story as Nell and John. John and Nell are one Heyer’s best couples in ter I think it’s 20 years since I last read this one and I had forgotten what a rattling good yarn it was. I loved everything about it except the cant, (more of which later). My first Heyer, who is someone I keep seeing good things written about. My first reaction was that she reminded me of Phyllis Whitney's very light romances that I read when I was 13-14 and loved. The thing is, I am not thirteen any longer and I like my romance with a bit more bite. Heyer has a delightful sense of humor, so you can read her characters with a soft chuckle and little seriousness, which is her salvation, in this novel at least. What I did love was the setting she chose, the historica My first Heyer, who is someone I keep seeing good things written about. My first reaction was that she reminded me of Phyllis Whitney's very light romances that I read when I was 13-14 and loved. The thing is, I am not thirteen any longer and I like my romance with a bit more bite. Heyer has a delightful sense of humor, so you can read her characters with a soft chuckle and little seriousness, which is her salvation, in this novel at least. 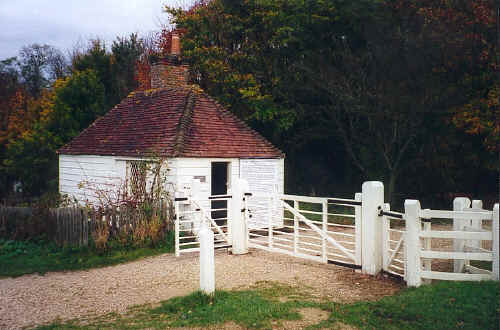 What I did love was the setting she chose, the historical toll-gate house and its surrounding environs. Heyer creates interesting secondary characters, playing the different classes off against one another superbly. She has a sort of lilt to her style and makes reading almost effortless. It is not hard to see how she gives a lot of pleasure to a reader who wants a vacation from the serious stuff in life. I wanted to love her, but alas, I do not. I found the dashing Captain a little too invincible. I found the heroine strangely malleable for someone who was supposed to be a spitfire, and I found the plot trite and uneventful. I did not like the idea that a man who had avoided marriage for so long would fall so completely for a woman with one single look. (I am not giving anything away, since this happens at the exact moment that the two of them meet--very early in the book). I hope the ladies of the Heyer Group, and particularly my friend Andrea, will forgive me this, since there are always those who love what we love and also those who do not. I think I have re-discovered that I am a tragedian and like high drama far more than comedy or romance. Another of the more adventure than romance stories, this involves the massive Captain John Staple finding a toll-gate where the man responsible has vanished and left behind only his young and frightenened lad. This mystery intrigues him, but he decides to stay in the area after falling in love-at-first-sight with a young woman known in the area as "The Squire" because she has been managing her ailing grandfather's estates. As a romance this is fairly bland. The basis of the romance is simply matc Another of the more adventure than romance stories, this involves the massive Captain John Staple finding a toll-gate where the man responsible has vanished and left behind only his young and frightenened lad. This mystery intrigues him, but he decides to stay in the area after falling in love-at-first-sight with a young woman known in the area as "The Squire" because she has been managing her ailing grandfather's estates. Another re-read for the hundredth time. This is a much gentler romance, and more derring do than is usual for later Heyers, so if you are new to her and want 'purer' romance then don't start with this one. I enjoyed it however, even though yet again I knew every bit of the plot, and it's one of her books that really showcases the secondary characters - I loved Gabriel Stogumber (fab name)m the Bow Street Runner in particular. A bit heavy-handed with the cant at times, but a great read. Much as I love Georgette Heyer, the mystery is predictable and boring so please don't expect too much from that. The romance tho is as swoon-worthy as ever! I don't think Georgette Heyer is capable of writing bad romance. Georgette Heyer was a prolific historical romance and detective fiction novelist. Her writing career began in 1921, when she turned a story for her younger brother into the novel The Black Moth. In 1925 she married George Ronald Rougier, a mining engineer, and he often provided basic plot outlines for her thrillers. Beginning in 1932, Heyer released one romance novel and one thriller each year. Hey Georgette Heyer was a prolific historical romance and detective fiction novelist. Her writing career began in 1921, when she turned a story for her younger brother into the novel The Black Moth. Heyer was an intensely private person who remained a best selling author all her life without the aid of publicity. She made no appearances, never gave an interview and only answered fan letters herself if they made an interesting historical point. She wrote one novel using the pseudonym Stella Martin. Her Georgian and Regencies romances were inspired by Jane Austen. While some critics thought her novels were too detailed, others considered the level of detail to be Heyer's greatest asset.